You can pay using your credit card without creating a PayPal account, its quick and easy: When you have selected all items you like to buy go to the "Checkout" menu and confirm the shipping method and terms & conditions. 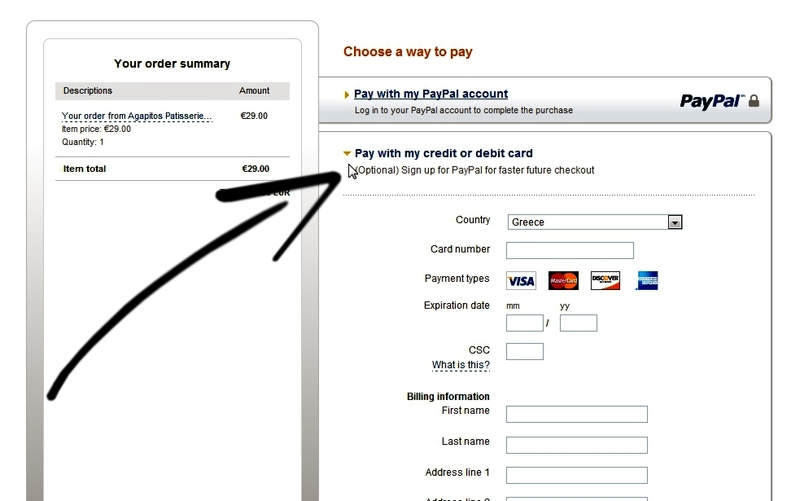 Click on "Proceed to Payment" to be guided to the PayPal site as seen in the screenshot below. Select the "Pay with my credit or debit card" option and enter your credit card information for your purchases. Payment is complete without having to create a PayPal account. If you have any questions, you are most welcome to contact Customer Service. All prices are listed in Euros or US Dollars. If you order by credit card, the credit card company will automatically convert your currency to Euros and pay the appropriate amount.